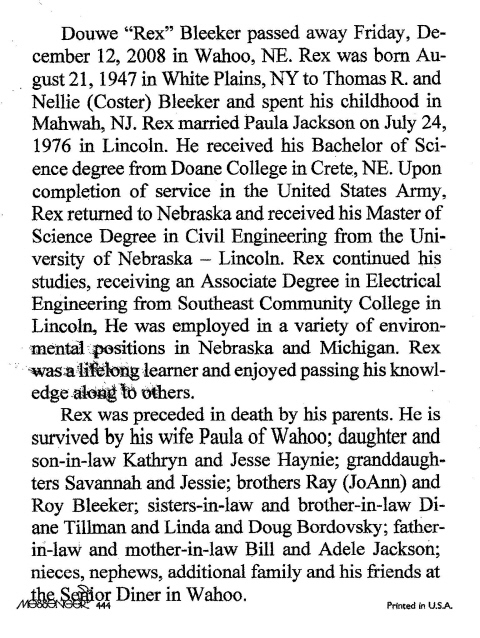 Rex was a big, warmhearted, friendly, and helpful kind of guy. 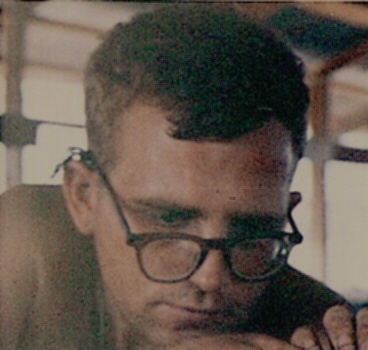 He was a little older than most of us when he arrived in South Vietnam. He was very intelligent and well educated. 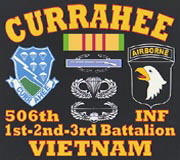 To his "Currahee Brothers" he became known as "The Professor" and everyone had a great deal of respect and admiration for him. At least, Rex made it through that period of his life and came home to go on and finish the education that he valued so much. 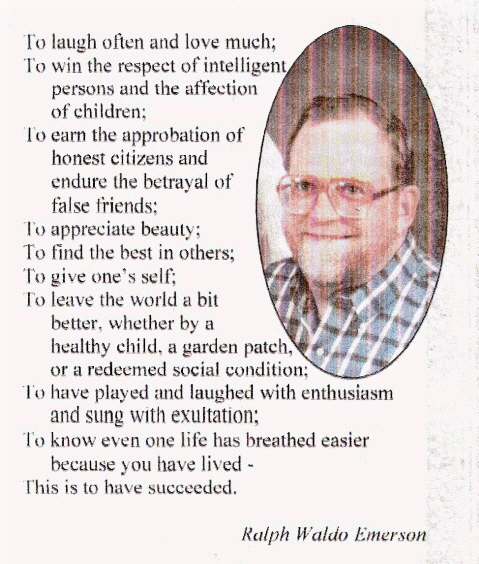 As you can see below, in the memorial flyer from his funeral. Rex went on to build a good productive life and raise a family. I am sure that his life had a good positive impact upon many people that knew him. I know for a fact that he had a great impact on the men of the 2nd Platoon that he served with. It is nice to see that Rex was able to fulfill some of his hopes, and dreams for the future. 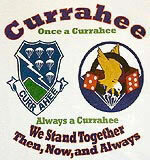 As for your Currahee Brothers at Charlie Company we wish to say that you are now, and will continue to be missed. "Welcome Home". 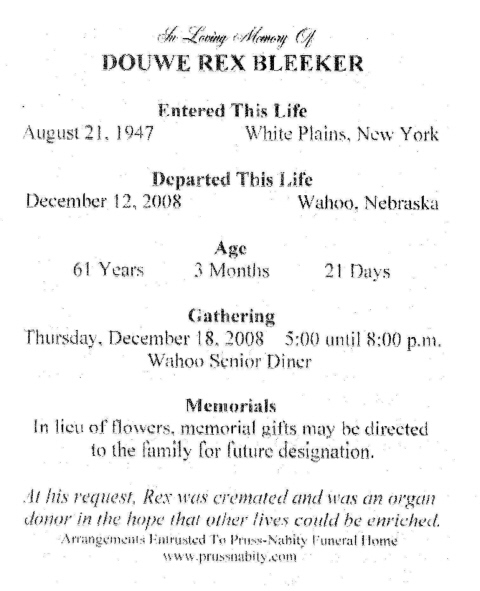 Douwe "Rex" Bleeker.....61 Died Dec. 12th, 2008 in Wahoo, Nebraska Born: August 21, 1947 in White Plains, NY Survived By: His Wife Paula, Daugther Kathryn, Two Grandchildren and his Two Brothers.